Rest In Peace Mr Darcy! Oh My God! 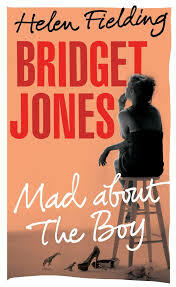 Helen Fielding kills off her character Mr Darcy in the her third book of Bridget Jones Diary! I read it in a news article in the guardian, on my mobile. Helen Fielding’s next new book titled “Mad about the Boy”. I always found her books funny and entertaining to read. Never really understood the genre, or should I say romantic theme, much when I was in sixth form, when the film was released. I guess it takes time for oneself to grow and begin to read chic flick. Work began at 1pm. I got there twenty minutes early. As I entered the building, my eyes dashed from the shopping trolleys on the front foyer, the queue of people waiting at the cash point. Ahead of me was a tower display of a fresh, vibrant range of exotic flowers. On the left, was the fresh food department, produce, meat, fresh milk section. Behind the flower tower were three big checkouts, labelled six, five and four. Till five and four were occupied with customers bustling through with their endless shopping, handing out their debit cards and flashing their cash at the cashier. I slid passed the checkouts, as I went round, you can see all the aisles, ambient section had began. Sauces and pickles, tea, coffee and biscuits. Tissue, pharmacy, and pet food; water, crisps, sweets and magazines. In the far back was the alcohol and freezers. Next to the beer fridge was all the sandwiches, small bottle drinks and the kiosk which had three tills. My colleagues were busy serving customers, sorting out their lottery and more. I had enough time to buy an egg salad sandwich and a 500ml bottle of buxton still water, before my shift began. After paying for my items, i headed down the sauces, pickles aisle and saw my store manager. He was a tall, stocky man, Dark hair, he wore a lime green shirt and was bending down, reaching out into the aisle shelf, and bringing some tins forward. He turned, grunted and looked at me. He stood up and towered over me. He did not speak and reached for my receipt and signed it, with a pen. Then I hurried down to the warehouse doors. Punched in the code into the pin pad that was on the wall, once the light turned green, the door opened and I went in. I passed the notice board on my right. This board had all the information about figures, the top three sections of the store, sales number, any news about the company. I meandered pass flat beds, pallets of deliveries, promotions, a shopping trolley filled with tin back stock. Looks like someone had started working the backstock, it was left uncomplete.